Energy efficient windows are a hot commodity these days. Not only do they reduce negative effects on the environment but they also help to lower our monthly utility bills. And, one of the best ways to make your home more energy efficient is to replace your old drafty windows with energy star windows. In fact, this may be one of the best home improvement projects you can tackle to make your home more comfortable, while saving you money in the long run. There is almost nothing that makes windows more energy efficient than the new advances in window glazing. The practice of glazing refers to utilizing multiple glass panes within one window to create a thermal barrier and therefore makes your windows more energy efficient. The thermal barrier allows for less heat transfer between the interior and exterior of your home. Most windows now have double panes of glass, while some even have triple panes. The more panes you have, the more energy efficient your window will be. Wider spaces between the panes will also add to the efficiency of the window. Aside from the increased efficiency that the space between multiple panes of glass offer, adding a gas fill can up the efficiency factor even more. Argon gas is the most popular option for filling the space, but there are other options as well. The different types of gas are less conductive than just plain ol’ air, making it less likely that heat transfer will occur. If you’re out shopping for new windows, you may hear terms like ‘low-e coating’ thrown around a lot. That’s because the coating is a great advance in technology that has made new windows more efficient. Basically a low-e coating is a clear coating that is applied to the exterior of the glass which allows light in through the window while not allowing radiant heat out. The type of coating should vary based on the climate you live in, so be sure to check that it is appropriate for your locale. Read more about replacement window ratings. If you live in a warm, sunny place, you can now get tinted glass to deflect some of the heat of the sun. This keeps your home more efficient. It used to be that tinted windows looked dark and were only used in commercial buildings, but with advances in tinting that make them less noticeable and lighter, homeowners can now take advantage of their benefits. One of the biggest culprits in decreased energy efficiency in old windows were the aluminum edge spacers used to hold the panes of glass apart in a window. Aluminum is an excellent conductor of heat (and cold) and therefore is not what you want sitting in between your window panes. Instead, newer windows use spacers that are better insulated and don’t conduct heat as well, such as vinyl, silicone foam, insulated steel and rubber. 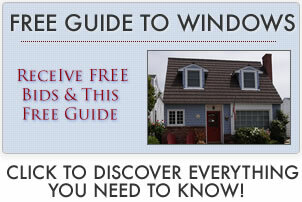 Find out more about aluminum windows. If you are looking to up the energy efficiency of your home, then replacing your windows is a great investment. You can pick and choose which options are best suited to your home, as well as your budget, based on factors such as the climate in which you live and the location and size of your windows. And the best thing of all is that in addition to making your home feel more comfy and your utility bills less scary, you will also be improving the look and value of your home. Now that sounds like an efficient use of your energy!